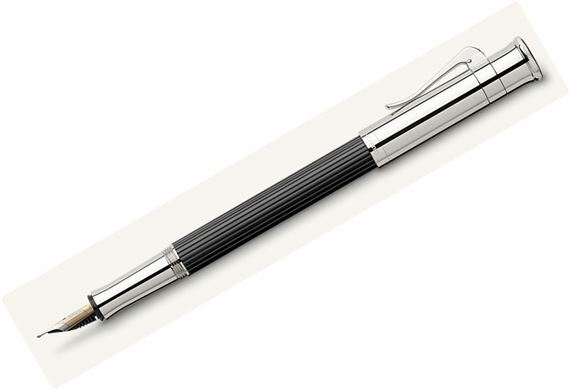 Order your Graf von Faber-Castell Classic Fountain Pen today from FahrneysPens.com. Fine Pens, Refills & Luxurious Gifts – great prices & fast shipping. 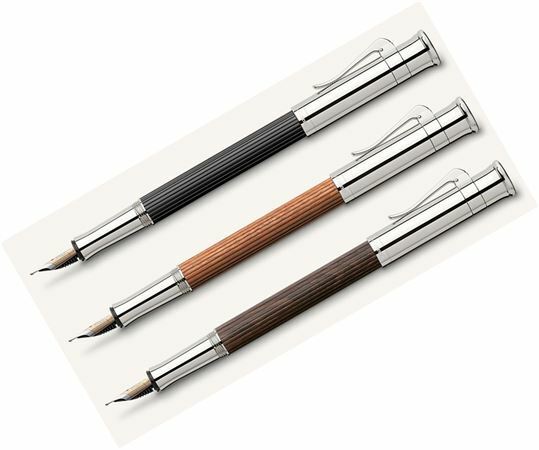 Wood and metal unite in unique beauty with the Faber-Castell Crafted Wood Fountain Pen. The distinctive and elegant personality of the crafted wood fountain pen will make an excellent edition in the life of a writer or pen collector. Graf von Faber-Castell created the classic wood barrel using rare and durable woods in reddish-brown Pernambuco, matte black Ebony, or in dark brown Grenadilla. Since this is a natural material, each individual crafted wood fountain pen exhibits natural grains and coloring. No two barrels are identical. With the two tone 18K gold nib, this modern piston-converter filling system makes the Graf von Faber-Castell crafted wood fountain pen a convenient writing instrument to use whenever and wherever. Also available in a capped rollerball and twist-action ballpoint pen. Cartridge/Converter fill.